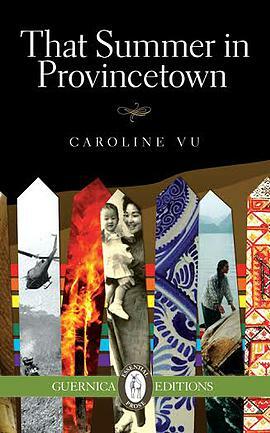 In a recent interview with Montreal Gazette’s Ian McGillis, Caroline Vu speaks about her forthcoming novel, That Summer in Provincetown. She elaborates on the novel’s plot related details, on her life in both Vietnam and Canada, and on the impetus for her writing. That Summer in Provincetown is forthcoming with Guernica Editions (Fall 2015). Vu describes the significance of the novel’s setting— her native country, Vietnam. She explains the novel’s title, and her reason for choosing a title that didn’t sound ‘typically Vietnamese’. Furthermore, he discusses two characters in particular —Daniel, “a half-French, half-Vietnamese man dying in a Montreal hospital of AIDS”, and the grandmother— and explains their key roles in the novel. Moreover, she comments on her life after coming to North America, which was comprised of both difficulty and opportunity. Tagged with Caroline Vu, Ian McGillis, Interview, Montreal Gazette, That Summer in Province Town.